Glenn Gilbert, known for transforming 21st Century Media’s Michigan newsrooms into data- and visually-driven 24/7 content producers that welcome community contributions and engage their audience through two-way conversations and outreach, is wrapping up a 45-year career in a field that has undergone major changes in news gathering and delivery. 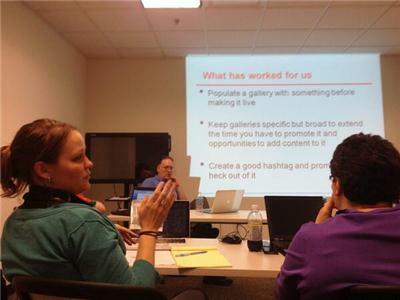 In the last seven years, Gilbert, 63, has reimagined newsroom positions – from old-school reporter and copy editor jobs to community engagement editors and multimedia journalists who interact with their audience and use a variety of storytelling methods to convey their journalism through videography, photography, audiocasts, data visualizations, and live-tweeting and blogging. Just as importantly, he has opened the newsroom to the public, launched community liaison boards, established a blogger network and encouraged media labs to train the audience in covering secondary news and use of digital storytelling tools. 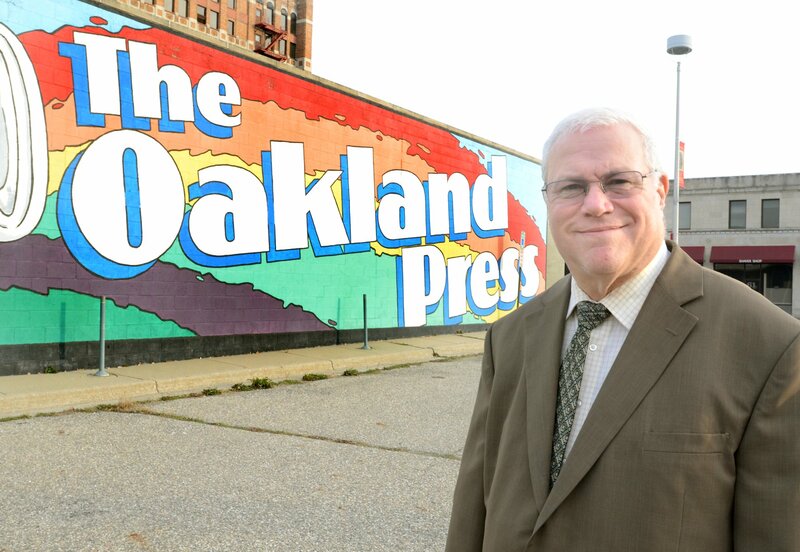 Glenn Gilbert is known as the “architect of the modern newsroom” for 21st Century Media’s Michigan Group, which includes The Oakland Press, The Macomb Daily, Daily Tribune in Royal Oak, The Morning Sun in Mount Pleasant, The News-Herald Downriver and Heritage.com. Frye said reporters, at the time, were witnessing the rise of social networks – and joining the ranks of users – opening up another medium for public expression and storytelling beyond newspapers. It didn’t take long, he said, for Michigan editorial staff to embrace Gilbert’s philosophy of an open, more collaborative newsroom sharing news in real time. “It was realizing we’re the professionals, but guide those who want to participate,” Frye said. Julie Jacobson-Hines, local news editor at The Oakland Press, respects Gilbert for his efforts early on to embrace the change ushered in with the Fifth Estate’s rise, and work to transform 21st Century Media’s Michigan newsrooms. “I think he has set us up for success in the digital world and social media. Obviously, that’s where the business is going,” Jacobson-Hines said. “As a newsman, I think he wanted to give more power to the reporters and people in the community to be able to come up with stories rather than us dictating to people what we think the stories should be,” she said. Jeff Kuehn, regional sports editor for 21st Century Media’s Michigan cluster, has worked with Gilbert for seven years, since their days at The Macomb Daily. He has been impressed with Gilbert’s early push, as readers embraced online news sites and social media, to transform traditional newsrooms into 24/7 operations that use social media for crowdsourcing, engaging the public in conversations and sharing news as it breaks. Transforming weekly and daily newspapers into 24/7 news operations online while maintaining excellence in print – as demonstrated with Local Media Association bestowing its Best Digital and Print Combination award to The Oakland Press in 2013 – is not an easy task, especially with shrinking newsroom budgets resulting from lost advertising revenue as more competition crops up for ad dollars and some businesses are slower to embrace online. 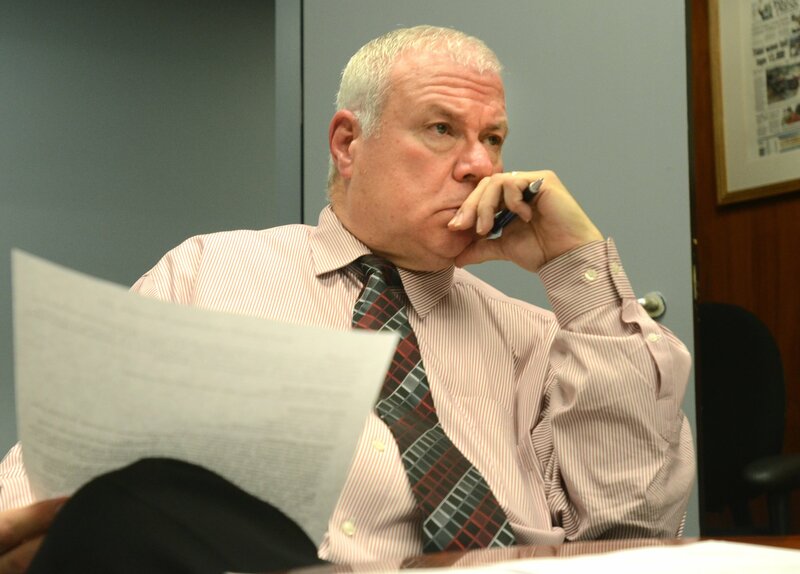 Gilbert, through his position as executive editor, has had to make painful cuts to editorial staff positions, while alleviating some of the hemorrhaging by creating efficiencies with a universal copy editing desk and centralized pagination center serving all of Michigan, with plans to bring in the Midwest sister publications. Despite cuts to editorial staff positions, Kuehn says the Michigan cluster has maintained its editorial integrity and reputation for solid journalism. The cluster continues to earn state and national awards for its journalism. In fact, Kuehn says the group, under Gilbert’s watch, has been a leader on many fronts across the chain, from use of Tout for short-form social-sharing-enabled video, to its macrolocal website Michigan PrepZone, named Top 10 Website distinction in 2013 by Associated Press Sports Editors, featuring high school sports coverage written by staff and community contributors. While a student at the University of Michigan, Gilbert learned early on the importance of embracing change to keep up with innovation and efficiencies in industry. In particular, he recalls a conversation with one of his professors. But, as Gilbert’s career has been winding down while technology has been racing at a breakneck speed – and after a health scare this past summer – he began thinking more about retirement. “As I grew older, that comment kept coming back at me – that you had to keep up. And, in my case, it has become increasingly difficult, frankly, and certainly is a contributing factor to the retirement,” he said. Gilbert is proud of his social media presence since joining the Twitterverse in 2010. He had 4,552 followers and 17,161 tweets as of Dec. 21, according to Muck Rack. He took to Twitter quickly, he said, because he saw the value of it as a tool to steer audience to content. “Twitter is simple yet difficult to comprehend, but I’ve tried to keep up with Twitter,” he said. The philosophy of “turning over the operation to those who know it,” or empowering your digital staff, was first shared by Digital First Media CEO John Paton, as Gilbert recalls. “I think, honestly, the best decision I ever made was to follow John Paton’s advice. And he was somewhat criticized for the way he put it. He said that the guys with – I think he said, the guys with – the white hair aren’t going to get you where you need to go. Well, I have white hair. Gilbert started his career in 1968 as a high school senior and worked steadily in the field through college before earning his degree, bypassing the traditional stint at the college newspaper. With 45 years in journalism, it’s no surprise that he has had to navigate change. CLICK HERE TO CHECK OUT A TIMELINE OF HIS CAREER ON DIPITY. Gilbert’s first job was as in 1968 as a student columnist at News-Herald Newspapers in Southgate for $1 an hour. He was a reporter, and then an editor, at The News-Herald’s Flat Rock Guardian, through 1972, a big responsibility for a student maintaining a full course load and still developing his reporting chops. After graduating from the University of Michigan with a bachelor’s degree in journalism in 1972, Gilbert was hired as a reporter by The Ann Arbor News. He also worked as an assistant city editor and editorial page editor before departing in spring 1983 with a master’s degree in social sciences under his belt from Eastern Michigan University. Gilbert had a short stint at The Daily Herald in Arlington Heights, Ill., serving as assistant city editor of the privately held suburban daily from September 1991 to January 1992. He landed at The Beacon-News in Aurora, Ill., for the next eight years, working as city editor, and in February 1992, he took a job with The News-Herald in Willoughby, Ohio, as assistant managing editor. In the Buckeye State, Gilbert was recognized for his leadership abilities and was promoted to managing editor in 1994. Five years later, he was named executive editor. The Journal Register Co.-owned publication, now part of 21st Century Media, managed by Digital First Media, allowed him more advancement opportunities across its chain, as he accepted a new position as executive editor of The Macomb Daily in Michigan spring 2006. Three months later, he arrived at his permanent home in Pontiac at sister publication The Oakland Press, where he was promoted to group editor of all 21st Century Media nameplates in the Great Lakes State and regional editor for the Midwest, including publications in Ohio and Minnesota. While Gilbert’s long and storied career has been a dream realized for him, it’s not his only aspiration. Since he was in junior high, Gilbert has desired a career in politics. In fact, he decided on a career in journalism because, based on his research in the 1960s, it was where many politicians had their start, in addition to jobs as teachers or lawyers. “I think I was in junior high when I wrote my first piece for the school newspaper … so that’s what got my taste for it (journalism),” Gilbert said. Gilbert signed up to work on the high school newspaper as a junior and ran for class president, and succeeded in both endeavors, again marrying both of his passions – journalism and politics. Throughout his career, Gilbert has stayed actively involved and held close to his journalism roots while also keeping a close eye on politics and public policy. “If you are covering a City Council meeting, you can experience the politics. You can vicariously,” he said. Jacobson-Hines said Gilbert’s nose for news and reputation as a respected newsroom leader precede him. “People think he is a good newsman,” she said. “In addition to everything else he has done, every week he writes a column about a current topic and it’s usually very well-researched. And he is extremely well-read, as far as he gets his news from a variety of sources. With his official retirement day, set for Jan. 3, 2014, fast approaching, many of his colleagues are wondering what the future will hold. Will this visionary and change agent – the “architect of the modern newsroom” at 21st Century Media’s Michigan cluster – ride off into the sunset or will we see him reinvent himself and realize his childhood dream? Gilbert said in addition to possibly maintaining his blog, “Between Extremes,” tweeting Oakland County news and continuing with his job teaching mass communication at Rochester College, where he has worked for four years, he may finally pursue the path he has been called to since his adolescence. The West Bloomfield resident – married to Linda, a part-time teacher, and a father of three adult children – isn’t interested in local politics. He said city council and planning commission positions are difficult when dealing with contentious neighborhood issues. He says, however, that he respects and admires those who are willing to take the heat. One question remains, however. Will he run as a Republican or Democrat? Gilbert said he has always leaned Republican, but with the party’s opposition to the Patient Protection and Affordable Care Act of 2010, he’s not quite sure anymore if he fully identifies with the right wing. “I don’t know how to characterize myself …,” he says now. Whatever Gilbert’s future may hold, Kuehn says his boss has at least one advantage. While some of his colleagues have been unceremoniously ushered out of the business, Gilbert has come to a decision on his own. “He is very fortunate to go out on his own terms,” Kuehn said. Editor’s Note: The writer of this story, Michelle Rogers, is director of community engagement and editorial training for 21st Century Media’s Michigan Group, and Glenn Gilbert is her direct supervisor. Best Decision: Followed Digital First Media CEO John Paton’s advice to empower the staff’s digital leaders, and then get out of their way. Worst Decision: Fought the management at The Ann Arbor News, when he was employed there. He said it cost him from a career perspective. As a manager, he has tried to represent the employees’ views to upper management. Best Gamble: Hiring Aftab Borka, a broadcaster, to assist The Oakland Press with an online video-based news show, called “News at Noon,” that grew into a short-lived partnership with Detroit TV station WADL and now a partnership with public access television. “It was an unconventional hire and I think it has worked out,” he said. Advice for Staff: Ask yourself where you want to be five years from now and keep that question in the forefront. Accolades: Best Digital and Print Combination, Local Media Association, The Oakland Press, 2013; Oakland Press named one of 10 newspapers in the country that “do it right” by Editor & Publisher, 2010: Second place, General Excellence, Associated Press, News-Herald, Ohio, 2006; Best of Ohio, Cleveland Press Club, The News-Herald, Ohio, 2005; Distinguished Community Service Award, Lakeland Community College, The News-Herald, Ohio, 2004; Society of Professional Journalists, General Excellence, News-Herald, Ohio, 1999. RebelMouse is a content creation, aggregation and publishing platform. Six months ago, I started a RebelMoue page for the Southeast Michigan Media Lab and wrote about the tool. The lab, as regular readers of this blog know, is my ideaLab project as a member of Digital First Media. While I had experience with the content creation, aggregation and publishing platform, it wasn’t until a few weeks ago that I realized its true potential for curating news and conversations unfolding on social media. In May, I set up the media lab’s RebelMouse page as a way to curate, in real time, news stories from Heritage.com, its Pinterest boards and Flickr, as well as the media lab’s posts on social media, and embedded it in my blog so my blog would always be fresh. Months later, on a conference call with our Michigan editors I learned about a special section called Made in Michigan to be produced in October, and thought we could create a RebelMouse microsite and use it for community engagement. I thought we should start a hashtag campaign encouraging our audience to post #madeinmichigan or #michiganmade Tweets showing off or promoting their favorite Michiganmade products and feeding them into the microsite. To make the site more engaging, I decided to bring in Pure Michigan’s tweets and its videos from YouTube, as well as its Pinterest boards and Facebook RSS feed. As I reflected later, I thought while I used the RebelMouse microsite as a community engagement tool, which was cool and fun, it wasn’t helping to drive page views to our websites. Lesson learned. When Demarius Reed, a football player at Eastern Michigan University, was shot and killed Oct. 18, Rick Kessler, managing editor of Heritage Media, asked if I would monitor Twitter and look for story leads. It was at that time that I thought about using RebelMouse again, but this time as a hub for all news about Reed’s death and the community’s reaction. Between Oct. 18 and Nov. 10, that page has had 43,400 impressions, an impressive number, as it has featured news stories, Tout videos and tweets about the police investigation, memorial service, campus safety meetings, and voices of those mourning Reed’s loss. I set up the site to collect all tweets with the trending hashtags #DemariusReed, #DR2, #RIPDReed, and Reed’s Twitter handle @D_Reed2. This brought in news stories and video from news organizations and reporters using the hashtag, as well as tweets, Instagram pics and YouTube videos from his family, friends and fans. In fact, one fan created an original song and posted it on SoundCloud, tweeting it with the hashtag. So that, too, was featured on the RebelMouse page. Occasionally, I would check the “drafts” folder, where tweets without photos would land, and approved some to appear on the page. I also searched out news, such as a letter from EMU President Susan Martin to alumni, and I took a screenshot of Reed’s last tweets, and manually added them on the page using the blogging function. At Digital First Media, we are encouraged to use one-third professionally produced content from our staff, one-third user-generated content and one-third aggregated content from other media, and RebelMouse is the perfect tool to achieve this formula. Unfortunately, when I shared the embed code for the page, the local editor did not use it. 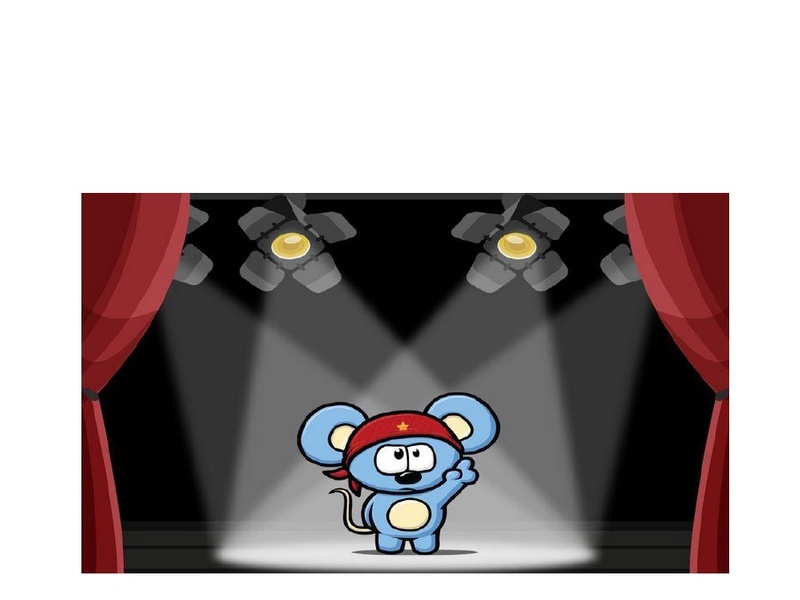 So, all the page views went directly to RebelMouse, a missed opportunity for us that greatly disappointed me. 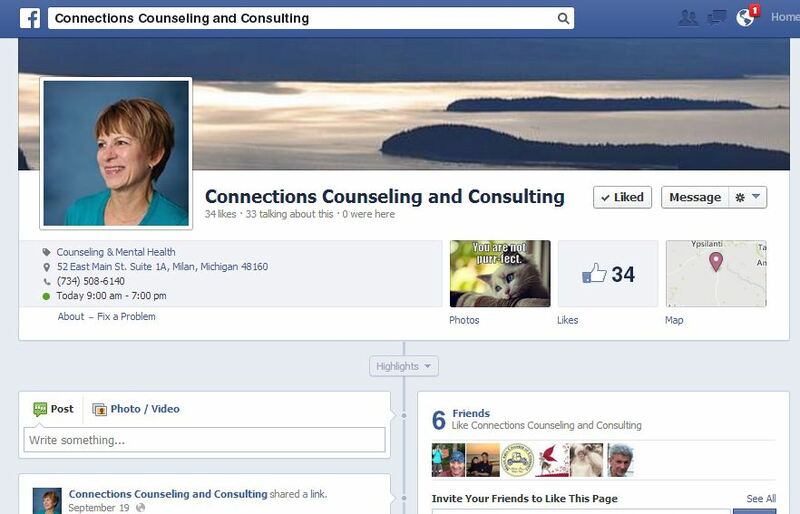 But it was another lesson, just as the Michiganmade RebelMouse page was a month earlier, and a challenge to overcome. So, what I decided to do was offer to teach editors and reporters the value of RebelMouse and explain that embedding the page in an article page on our sites, and then promoting it on our social media channels, will bring traffic to our news sites. On our next editors call, I talked about the success of the Demarius Reed RebelMouse page, the magical mix of our content, aggregated content and UGC, and offered to teach editors and reporters how to set up microsites on RebelMouse and embed them on article pages to capture page views. So far, The Oakland Press has taken me up on the training. On Thursday, I traveled to Pontiac and shared a PowerPoint I created about the power of RebelMouse as a curation site that can aggregate news and serve as a hub of information for breaking news, celebrity news, trending topics, topic-specific content, such as the Detroit Tigers or Lions, or even serve as a stand-alone news curation site for communities we don’t cover with our resources, such as Monroe, Mich., but are covered by other news organizations, and have an active community of bloggers and people using social media. Since creating the Obamacare site three days ago, there have been 8,351 impressions. 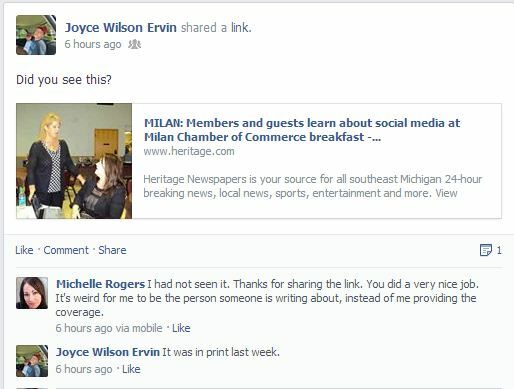 And this time, learning a lesson from missed opportunities, the embed was used on three of our Michigan news sites, our group editor’s blog, and Oakland Press political reporter Charlie Crumm linked to the site, adding a tab to his RebelMouse page using RebelNav. What’s great about RebelMouse is that once you enter the hashtags, and Pinterest, Instagram, Google+, Flickr, LinkedIn, YouTube, Tumblr, and RSS feeds, it’s all automated. You don’t have to do anything, unless you want to take the initiative. And I have on the Obamacare microsite, adding articles posted by our sister publications that haven’t been tweeted out using the hashtags (#AffordableHealthCareAct, #Obamacare and #AHCA) we have told RebelMouse to aggregate. It’s so easy to add news articles, videos and other content, even your own, by using the blogging function on RebelMouse. You can paste the URL of a news story or YouTube video directly in a box on the page and it will post after clicking on a button. You can add photos and other elements, too, if you wish to provide richer content. Check out my PowerPoint and create your own news curation site or social front page using RebelMouse. On a professional level, it’s fun for me to master another digital tool that adds value to our news sites and provides a hub for information on specific news topics, making it easier for readers to find and read a variety of sources. I love it! 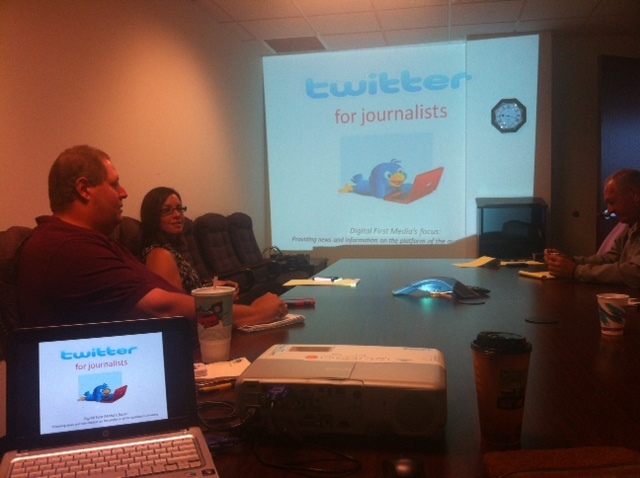 Twitter training at The Macomb Daily, Daily Tribune and Advisor Source, part of 21st Century Media. Nearly every day, I am appreciative of having the job I do and all the fun it brings. I don’t think of it as work because I really do love every aspect of it (except maybe still having to put together the Heritage commentary page for print. Are you still reading print?!). In particular, this last week or so has been a blast as I traveled to The Morning Sun in Mount Pleasant to train the newsroom on short-form video using Tout, The Macomb Daily, Daily Tribune and Advisor & Source yesterday to give a refresher on Twitter to staff journos, and I am looking forward to tomorrow, when I will teach Tout to staff at The Oakland Press. And, in between, I’ve been working one-on-one with our community bloggers, which is always lots of fun exploring their work and figuring out ways to help their blog reach more readers and provide richer content. At The Morning Sun, which brought me to Mount Pleasant for the first time Aug. 1, I enjoyed meeting and interacting with the staff, who are all hardworking and dedicated. I was very impressed with their accomplishments and excited that they were embracing Tout. Our company, 21st Century Media, which is managed by Digital First Media, has a partnership with Tout and all of our newsrooms across the United States have embraced the tool for short-form video. My role is to help provide training and encouragement, and recruit our audience to use it as news-sharing partners in Michigan. What I love about Tout is that it’s easy to share on social media, via text and email or through an embed, and you can reply — all in real time. So let’s say you are at a festival, sporting event or community gathering, either as a journalist or citizen, you could use the Tout app on your smartphone to record what you see and share it via Twitter, Facebook and other social media tools. Mention your local media company via Twitter handle and they could reTout it and share it with their audience. People can reply their own Touts sharing their observations or comments. I love the community engagement potential. To get our communities more involved with Tout and sharing community news, I will be traveling to newsrooms across Michigan to provide free training on Tout to the public. My first session is scheduled 6 p.m. Aug. 15 at The News-Herald in Southgate. Check out my Meetup.com profile to find out about other training opportunities. 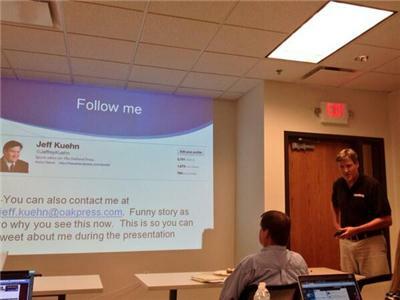 The Twitter training at The Macomb Daily was also a good time because I love using Twitter and I think it offers enormous benefits as a tool for journalists to connect with their audience, interact, crowdsource, share and find breaking news, and build community. I held two sessions — one in the morning and another in the afternoon — and met with blogging partners in between. During the presentation, I asked the reporters to tweet highlights, take photos and share them on Twitter, either via Twitter or Instagram-to-Twitter, and shoot Touts and share them via Twitter. A few did, but not many, so that was a little disappointing. Every time I attend a journalism conference or workshop, most participants do this via a hashtag, adding their insights and information, which I think is valuable — and it’s fun. This morning, to reinforce the presentation, I Tweeted at everyone — those who attended and those who did not — asking them to share one of their successes using Twitter or one thing they learned that was helpful. Out of about 20 Tweets sent about four hours ago, I’ve had seven replies. A little discouraging. @idealabheritage Oh oh. Wake up calls for those attending the Twitter training. Let me know who answers. Maybe I will follow up with an email: “Have you checked Twitter today!” I had asked them to be on Twitter at least once a day and told them between 1 and 3 p.m. were the best times to Tweet, according to research by Bit.ly. A couple of days ago, I shared on Facebook a photo of an email that now hangs on my cubicle wall at the media lab. It’s from my boss and says, in part, “You are far exceeding my expectations …” That note, coupled with the rewarding feeling I have helping my co-workers and our news-sharing partners learn new tools to reach their audience on the platform of their choosing, makes me spring out of bed every weekday morning (some weekends, too), excited about what the day will bring. 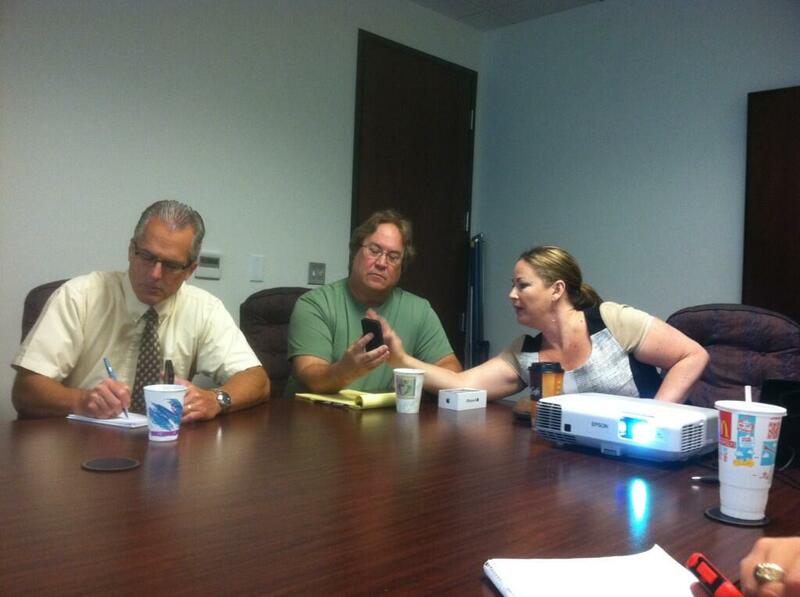 Photo by Jody McVeigh of individual Twitter help with Norb Franz, Joe Ballor and me, Michelle Rogers (right). Steve Buttry, digital transformation editor for Digital First Media, which manages parent company 21st Century Media, paid a visit July 9 to the new Macomb Regional Community Media Lab, where community engagement editors from across the company’s Michigan and Ohio properties met to deliver a series of workshops. I had the pleasure of livestreaming the event using the Southeast Michigan Media Lab‘s uStream channel, and moderating a live chat on ScribbleLive, while also presenting three of the 14 workshops. I was a little nervous about whether everything would run smoothly as I was on vacation the week prior to the event and had short notice on what I would be presenting. But because I provided Steve with a list of what I felt comfortable talking about, and had some slides from old PowerPoints I had delivered on the subject, I didn’t spend too much time putting together the presentations and was able to still enjoy my vacation with not a lot of prep work for the event. The lab was packed with presenters, as well as some handpicked staff and editorial staffers from The Macomb Daily and Advisor & Source who were curious about particular subjects and wanted to watch in person, rather than online. Everyone used the hashtag #DFMengage throughout the afternoon to Tweet highlights, share photos and video. Some of our followers on social media chimed in with their own comments using the same hashtag, with all the posts appearing in our live chat blog. Paul Kampe of The Oakland Press introduces himself at the community engagement workshops organized by Steve Buttry. Steve kicked off the afternoon with introductions, and it was great to meet in person many people who I was familiar with only by name or social media handle. I led the first workshop on ScribbleLive, followed by fellow media lab director Maryanne MacLeod, community engagement editor for The Macomb Daily, speaking on her successes with community engagement using Facebook and, in particular, archival photographs that go viral. Lisa Yanick Jonaitis, community engagement editor at The Morning Sun in Mount Pleasant, spoke next about engaging your audience through contests, followed by Cheryl Sadler, community engagement editor at The News-Herald in Ohio, who walked us through her successes with Pinterest. Later in the afternoon, I spoke about a new short-form video tool we are using across DFM called Tout and Karen Workman, former community engagement editor at The Oakland Press who now works on breaking news at DFM’s Thunderdome, gave a presentation about using Google Voice for crowdsourcing and community engagement. Steve followed with a chat on using video to engage your audience. Laura Tressler Kessel, managing editor of The News-Herald in Ohio, gave examples of engaging the community as contributors and using their content, as well as a community weight loss effort. 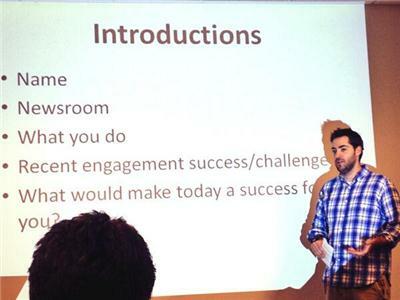 Steve followed with a talk on the social conversation and how to engage your audience online through social media. 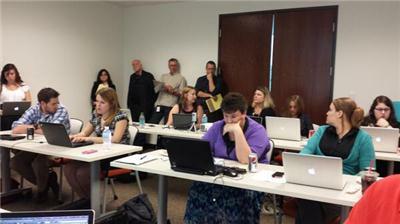 Cheryl Sadler (left), community engagement editor at The News-Herald, in Ohio was among the presenters July 9. Cheryl returned later in the afternoon with a presentation on the photo engagement tool Olapic, which encourages reader-submitted content. Karen was up next with an overview on Thunderdome, soliciting ideas from the editors on how the national news-gathering group could better serve staff at the local level. At 5 p.m. I threw a bunch of tools at the editors as I spoke about Google Forms, NewHive, RebelMouse, SurveyMonkey and Dipity for crowdsourcing and community engagement. Before Steve’s wrap-up was Jeff Kuehn, regional sports editor for the Michigan cluster, and Cheryl, who spoke on the sports department’s efforts to solicit user-generated content, use of social media and community engagement efforts. Steve concluded the program with an example of community engagement using GeoFeedia to capture what the crowd was saying about the anniversary of the Battle at Gettysburg story. Jeff Kuehn speaks about sports engagement at the July 9 workshops at the Macomb Regional Community Media Lab. After the workshops, Steve asked everyone to think about a tool or idea they could apply to their job today. It will be interesting to see what everyone came up with as the weeks progress, and as we add a new tool to our tool belt over the course of several months based on what we learned from one another. I decided to delve deeper into Pinterest, based on Cheryl’s presentation, and I’ve been working with the Professional Volunteer Corps in Ann Arbor. I helped the group start a Pinterest page and one of their volunteers will be meeting with me regularly to post photos from their volunteer activities, follow other interests, repin items and start engaging individuals on the social media tool while building an audience, and, hopefully, attracting more people to the group. For example, they recently visited Meijer Gardens in Grand Rapids and I am sure their photos of the beautiful flowers will attract some followers, and repins. If you attended our workshops, post here which tool you decided to embrace and how you are using it. I’d love to hear from you. Special thank you to Jan Wick for ordering our lunch and making sure we had everything we needed, Steve Buttry for flying in and sharing his expertise, and everyone who attended and participated in this great learning experience. I look forward to another series next year. So, that means continue exploring new tools, experimenting with new ideas and engaging your communities in conversations as we work toward elevating our journalism. Note: These are live notes from a workshop at the Michigan Press Association convention. Follow the live Tweet stream at #mpa2012. Need rules for people accessing and using your digital products. How will you manage posts that you may allow, copyright issues, editing and removing posts. Report Abuse buttons: Used to manage content. Allows people to alert us to potential problems on website. You should treat information collected on social media sites the same way you would if someone came in and handed it to you in person. You verify the person who gave it to you is a reliable source and has the right to give you the information, and whatever they give you, you independently verify. You have to be careful of confidential sources as there are degrees of protection. Keep in mind that smartphones are good newsgathering tools, but they could harm your confidential source because they can track where you have been, and that info could be subpenaed. If trying to keep a source confidential, you may want to leave your smartphone back in the newsroom and just take notes. A lot of law enforcement agencies have outdated policies and that can come into play if videoing at a scene of a crime and they see it as interfering with an investigation. Our most concern is to be able to get the story and then educate police on the issue if they overstep bounds and try to restrict us in doing our jobs. Michigan is a one-party consent state, so we can record phone calls as long as the other party agrees. Intellectual property involves domain names like your website, Twitter and Facebook accounts, Twitter handle and copyright. Question of copyrights. Who owns the photo and can I use this? If it’s a work-for-hire and copyright is transferred. It’s a question of fair use. Fair use determines whether we can use it. 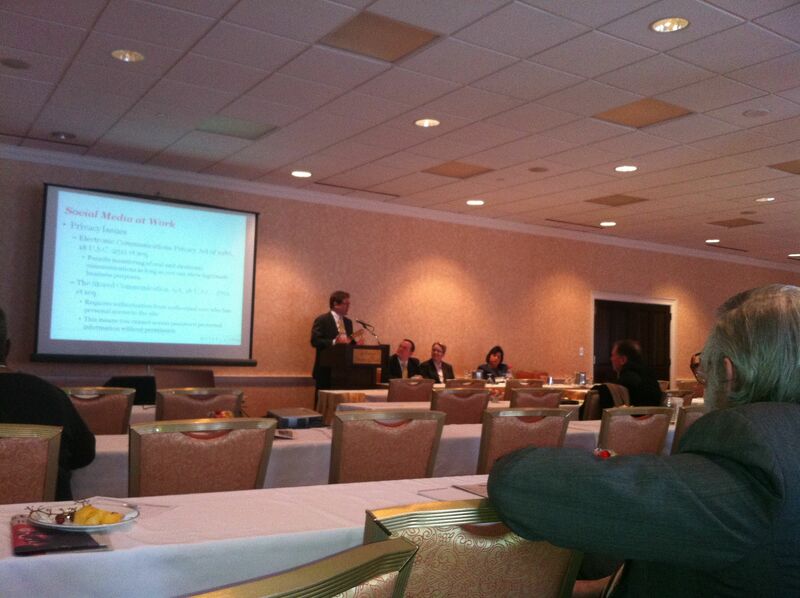 Fair use is whether in advances discussion. A mechanical process involved, forces of nature and a machine can’t be copyrighted. Stock photos and Google images: Images taken from the web can be risky to use. If you Google, sometimes you’ll pull up database images and you can’t necessarily use those images. Can’t trump access to public records under copyright. Law enforcement, for instance, can’t copyright photos from crime scene if you get your hands on it and publish it. Domains and social media handles: Domain names registered on first-come, first-served basis. If you have a trademark, you may be able to take your domain name from someone else if someone else got it first. Online comment section: In print, any third-party content can be vetted. However, online comment section, there’s no review and it’s automatically posted. This raises questions of liability, if it’s defamatory content. If you’re a web host, you are generally not responsible. But if you’re a content provider, then you’re responsible. You have to be careful what you do with respect to what is posted under the Communications Decency Act. It’s OK to remove for relevance, you can edit, but can’t insert defamatory materials; if you remove content and change message and it becomes defamatory. You can be held liable for republishing third-party content into your own larger posting. A website owner who incorporated a third-party email is an example. If an employee uses social media to make favorable comments about a service or product of his employer and does not disclose his employee relationship. If you’re a reporter and retweet a story, are you endorsing that information and if doing it under a newspaper account, is the newspaper endorsing? You have to be careful. Publishers may be liable if give employees tools and encouraged to Tweet. Social media is becoming inseparable with some job functions. You should have a social media policy. When looking to hire people, if you look at their social media you may find out things you aren’t supposed to learn in hiring process, such as health issues, political affiliations, religious background, etc. If you make those attempts and the potential employee finds out they may assume you discriminated against them. Google has a policy not to Google information about a potential employee, because you can’t use that information in making your decision. Social media at work: Employers allowed to monitor employees’ Internet use at work; no expectation of privacy; company policy may give privacy rights. There are still potential issues an employer could be exposed to information regarding protected classes or the information gathered could be misused.